- Fiber Optic Power Meter & Light Source - four wavelength power meter for multimode and single mode testing, and 850nm multimode LED light source. 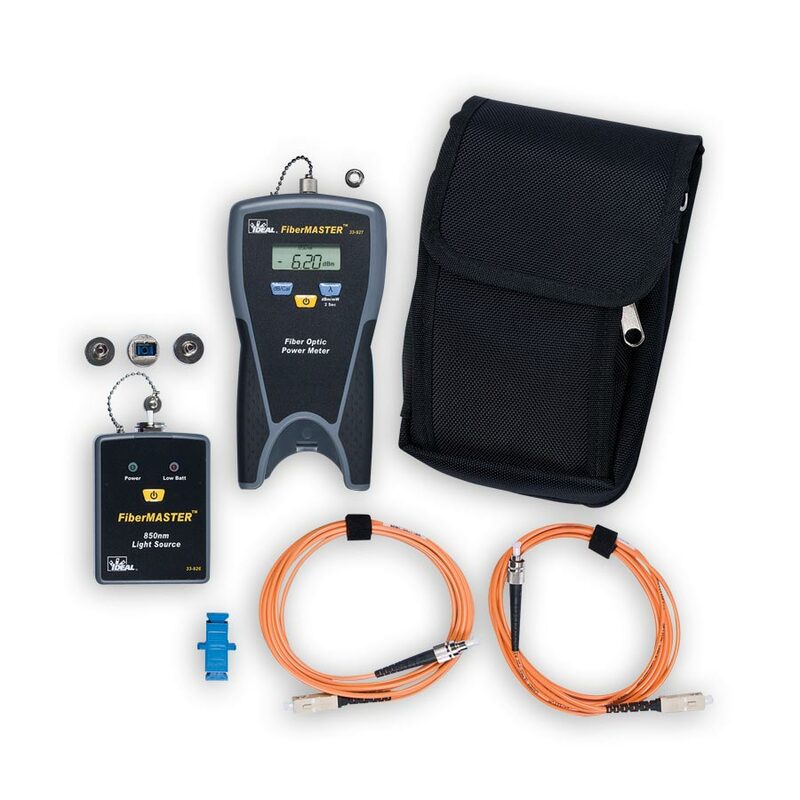 - Calibration Function - stores reference power level for quick dB loss measurements eliminating the need to manually calculate loss. - Save Time and Money - power meter features 2.5mm universal and FC adapters, light source includes ST, SC and FC adapters to test the most common interfaces. - Ready for FTTx - 1490nm measurement wavelength for use with nearly all single mode Fiber To The Home applications. - Designed for the Field - Unique "docking" light source and easy three button operation make this the perfect fiber tester for use in the field.